We are excited to invite you to join us for the GNSI 2012 Education Series Workshop, June 22 through 26, at the Salish Kootenai College in Pablo, Montana, within the Flathead Indian Reservation. Pablo lies near the center of this home of the Salish, Pend d’Oreille, and Kootenai Tribes (CSKT, http://www.cskt.org/) and is located 60 miles north of Missoula. 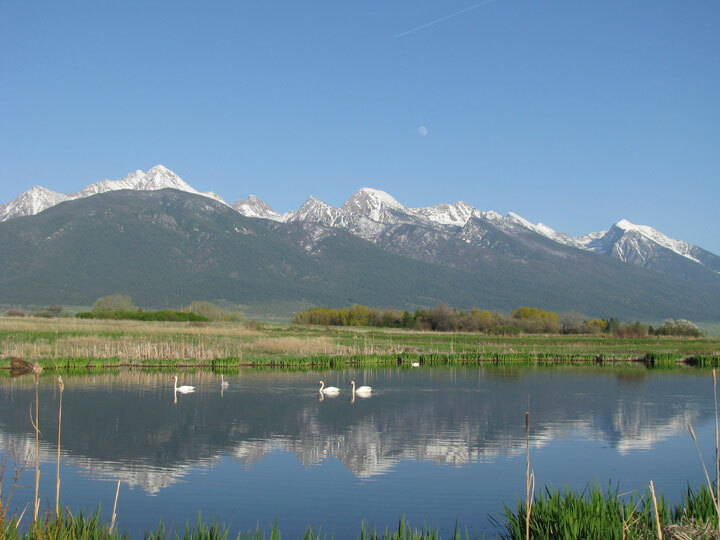 It encompasses the Flathead Lake and River and the majestic Mission Mountains. This beautiful, mountainous western region provides workshop participants with access to rich and varied sets of human and natural resources near our workshop location; participants will be surrounded by the beautiful and diverse habitats of the region--its wetlands, mountains, and prairie, which will provide an awe-inspiring backdrop for exploration and art. This unique workshop, taught by artist and educator Linda M. Feltner, will provide an immersion into the people and environment of the Flathead Reservation. 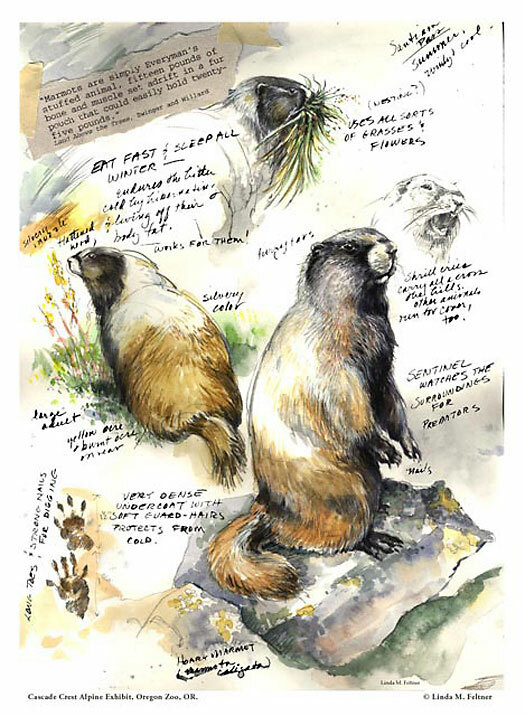 Interpreting the land, people, geography, flora, and fauna of an area is an assignment that any illustrator may encounter. We will discover the breadth of human history and native landscape and explore the means to capture its essence in interpretive illustrations. Participants will be guided through the process of planning and developing a large scale project as if it were a contracted project or work assignment for a mural, magazine or book illustration, a museum or park interpretive display, a painting series, or any other potential project for a client. Participants will learn how to research, plan, and design an end product. The course will begin with a discussion led by local Tribal representatives and archeologists about proper procedures and etiquette when working with indigenous culture and human artifacts. Instructor Linda M. Feltner’s multi-disciplinary career includes interpretive consulting and interpretive media design, book and magazine illustrations, numerous solo exhibitions, classroom teaching, commissions, and lectures to professional organizations. She designs both indoor and outdoor exhibits, including free-standing panels, kiosks, murals and interactive graphics. Classrooms, library, internet, cafeteria, and new fitness center at Salish Kootenai College (www.skc.edu) will be available for participants’ use, and the campus is a pleasant setting for the workshop. Breakfast and lunch will be available at the campus cafeteria. Dinners will be on one's own, and a grocery store is within walking distance of the College. Registration is now open. Additional information in the PDF registration form below (Resources). Inquiries can be directed to Sue Ball at [email protected] or Sara Taliaferro at [email protected].